Acquisitions Incorporated serves up locally-sourced adventure from convenient franchise locations across Faerûn. Their adventures began in 2007 with a podcast of three friends playing D&amp;D, and inexplicably progressed to live games on-stage before thousands of audience members at PAX. The adventure continues! Join DM Mike Krahulik as he drops Omin Dran (Jerry Holkins), Môrgæn (Morgan Webb), Strix (Holly Conrad), and Viari (Patrick Rothfuss) onto a magical island to battle ninety-six foes for the most cherished of all prizes: Chicken Dinner. 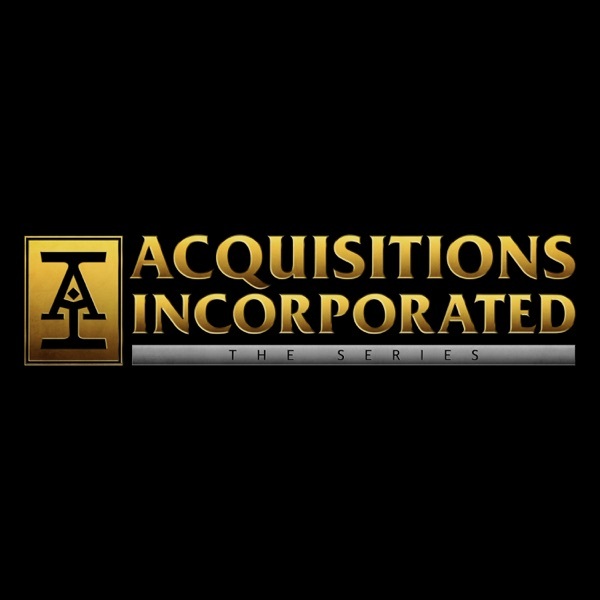 About Acq Inc: Acquisitions Incorporated serves up locally-sourced adventure from convenient franchise locations across Faerûn. Their adventures began in 2007 with a podcast of three friends playing D&D, and inexplicably progressed to live games on-stage before thousands of audience members at PAX.